During the last two years a cooperation agreement between WHITRAP and CNR-ICVBC has been promoted, focusing on the application of the HUL approach to small historic towns, with the aim to foster their economic sustainable development, thought the conservation of build heritage, landscape and local identity. Within this framework, two Sino-Italian Memorandum of Understanding (MoU) were recently signed (2015-2020) by these two institutions with other local and regional authorities in order to support the continuation and application of the results of this research and encourage the exchange of best practices on training and participation. 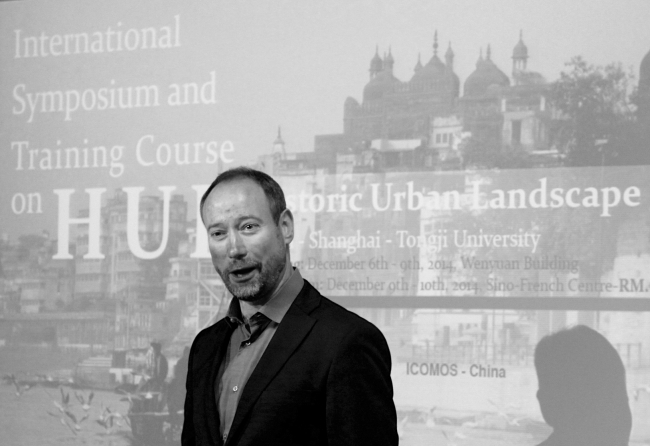 The first MoU was signed with the Historic Towns of Tongli (China), Palestrina (Italy), Castel San Pietro Romano (Italy) and the University of Rome Tor Vergata (Italy); the second MoU with Tongli Historic Town (China) and the regional agency of Lazio Innova S.p.A.(Italy). These MoU were signed in Italy during a 7 days’ encounter of all the institutions and authorities involved in the cooperation project. 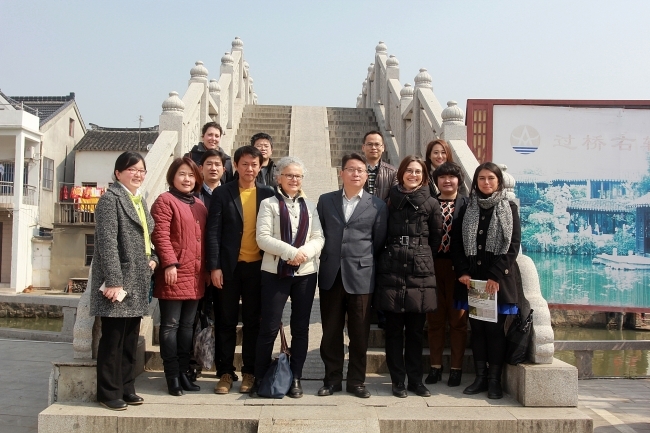 Several international workshops were held, closing with the International Conference “Water towns – Hill towns and the UNESCO Recommendation on the Historic Urban Landscape”. See more information in Partners section. Following extensive community participation and stakeholder consultation, the Ballarat City Council unanimously adopted Today, Tomorrow, Together: the Ballarat Strategy at a public meeting on 22 July 2015. Underlying all issues, directions and initiatives in the strategy is the Historic Urban Landscape approach to managing change and includes a commitment to continue to implement the HUL as the ‘guiding framework for managing change’ in Ballarat’s dynamic historic city. The strategy outlines the long term plan to manage change in Ballarat to 2040 using two key platforms: the ‘10 minute city’ and the ‘city in the landscape’. It has been developed as a shared community vision for the future and began with Ballarat’s largest ever community conversation, Ballarat Imagine. The Strategy guides Ballarat’s response to significant population growth, housing supply, economic transformation, liveability and community, infrastructure, transport, natural and cultural environment and a changing climate in a way that it is hoped will ensure Ballarat’s sustainable future. The Research Institute of Urbanisation (RIU), a partner of WHITRAP since 2014, has recently signed an agreement with Shuang Wan Village, located in the southern part of Wujiang District in Suzhou, for the application of HUL in China. 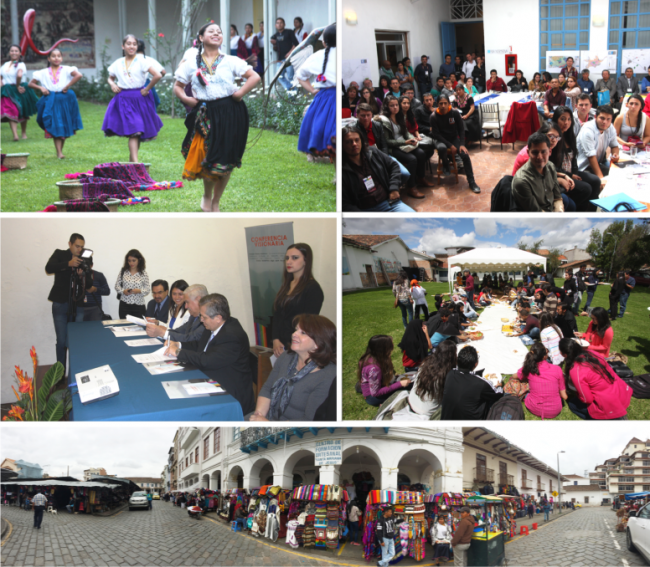 A team of international experts gathered together in the village from the 6th to 12th of July, working to build‘scenarios for future sustainable rural development’. During the intensive and residential workshop, organised in cooperation with the International Laboratory of Architecture and Urban Design (ILAUD), the team provided ideas and solutions to transform rural land use and to preserve the local heritage in order to foster a sustainable model of local development. The work has been supported by preliminary research on local people’s mental mapping, and it was presented to the local community in a lively public session in the town hall at the end of the workshop. The next step will be to develop detailed projects to implement the strategy presented through participatory sessions with local stakeholders. The Shuang Wan Village project is a HUL pilot case in China representative of minor rural settlements within highly urbanised areas that aims to achieve a balanced and inclusive development based on local resources. 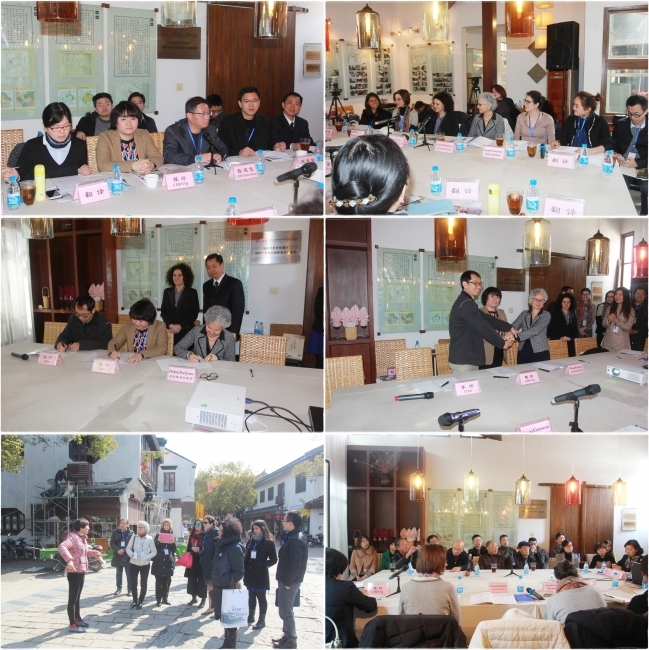 Within the context of the China and Italy Bilateral Project for the Exchange of Heritage Conservation Experiences, Tongli (CH) and Priverno (IT) Comparative Research on the Application of the HUL Approach lead by CNR-ICVBC and WHITRAP, during four days was held the First Intentional Meeting of Exchange, in which representatives from CNR-ICVBC, Italian Consulate in Shanghai, Tongli Government and community, Wujiang District Government, Tongji University and WHITRAP participated of a series of workshop as well as of some field trips to Tongli, Wujiang District and other water cities in Shanghai Area. Among the most important achievements was signed the MoU between the institutions mentioned above, took place the first public participation activity and were debate further steps of Sino-Italian cooperation for HUL application and other means. See more in More Information. City of Ballarat, Federation University Australia’s Centre for Regional Innovation and Competiveness (CRIC) and Deakin University’s Cultural Heritage Centre for Asia and the Pacific (CHCAP), in conjunction with WHITRAP in Shanghai host the Ballarat’s second Symposium on UNESCO’s Recommendation on the Historic Urban Landscape Revitalising Historic Cities.Drawing together international, local speakers and expert participants including Dr Ron van Oers (Vice Director WHITRAP) and Dr Rohit Jigyasu (UNESCO Chair professor Ritsumeikan University, Kyoto,) the symposium includes multidisciplinary sessions on a range on Historic Urban Landscapes (HUL) themes and issues over two days.The symposium includes a public event on Saturday 21 February, for community members to discuss their vision with experts and practitioners for the future of Ballarat and change in their local areas. A new Historic Urban Landscapes website, also the result of collaborations between the City of Ballarat and Federation University Australia, will be launched. The important discussions which will emerge from this symposium will help guide Ballarat’s Historic Urban Landscape pilot program, the development of the Ballarat Heritage Strategy and contribute to the implementation of the Ballarat Strategy – a long-term road map for the future of Ballarat. On February 10, 2015 a Memorandum of Understanding (MoU) was signed between the four institutions in order to develop joint research activities using the Historic Urban Landscape approach to investigate, analyze, interpret and evaluate the characteristics and values of Old Strathcona’s heritage assets, both tangible and intangible. This will facilitate the decision-making process concerning conservation and development and enhance management effectiveness to be undertaken jointly by ICOMOS-Canada, WHITRAP, OSF and City of Edmonton in that area. UNESCO, the Government of Jakarta, Jakarta Old Town Revitalization Corporation (JOTRC) and WHITRAP have collaborated to hold an exhibition in Kota Tua Jakarta on the 3rd of February 2015.The overall aim of the exhibition was to share with the public UNESCO and WHITRAP’s actions and support in the revitalization of Kota Tua. This includes detailed information on the process for Word Heritage nomination, the Historic Urban Management (HUL) approach advocated by UNESCO (and how it can support in the management of Kota Tua) and the UNESCO Asia Pacific Award for Cultural Heritage (including the high standards of conservation the award promotes).